Technology Zones - Innovations, news and case studies related to Powder and Bulk Solids Handling and Processing Equipment can be found here, divided into categories. New technologies and developments for effectively processing and measuring dry bulk materials. The Rotolok Lump Breaker has a design proven on assorted products and is particularly effective on dry, brittle and friable lumps. 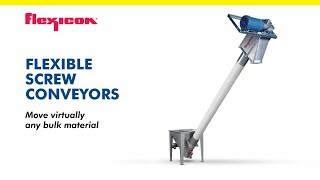 Producers that process bulk goods can scale up considerably thanks to the unique new sifter, with a capacity of 25 – 30(!) tonnes of product per hour. TUCKAHOE, NY, Elcan Industries is proud to announce the opening of our new lab and particle testing laboratory. The facility will feature advanced lab equipment that will be used for fine particle size determination and evaluations of different products. The lab will also include a station for recycling additive manufacturing powders on the Hi-Sifter sieving machine.